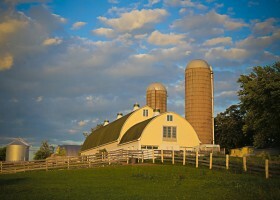 Allegiant Farm is located in a quiet country setting, between Woodstock and Harvard, Illinois. Since 2007 I have offered only the best care in boarding, layups, lessons, training and massage therapy for you and your horse, I intend on continuing to meet high standards of care in the future. 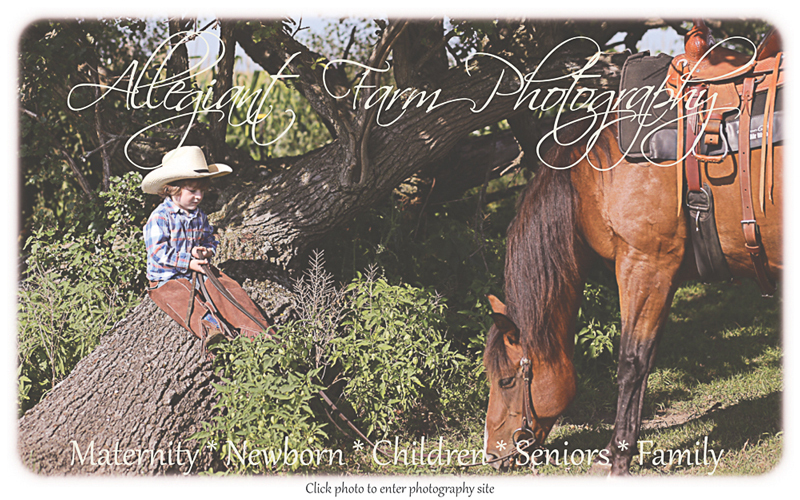 My mission is to provide your horse with a peaceful, safe and enjoyable environment. Offering only the best for your best friend. 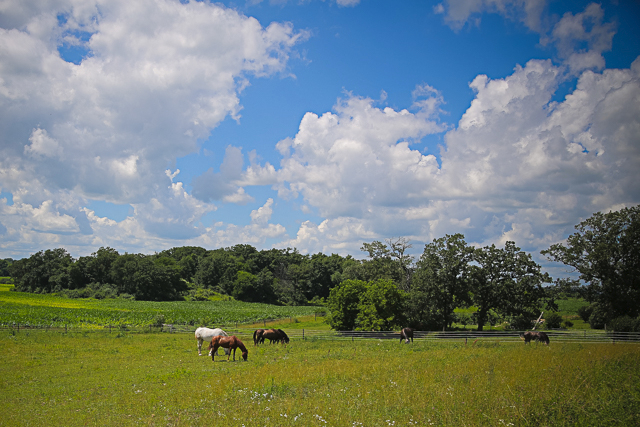 As of September 1, 2015 we will no longer be boarding horses in McHenry County. My family and I are relocating to Bulverde Texas, keep in touch, updates will be coming soon! I specialize in working with problem horses, you may be having some issues, lets’s get you with your horse to get on the same page working better together. I believe in working with as gentle of feel as possible, but not forgetting that there may need some firm work to begin with to build your foundation with your horse. *references are available by request. 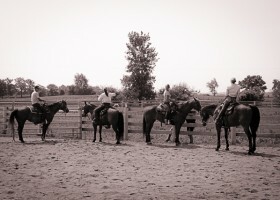 My goal with any lesson is to get you and your horse safely moving forward in a comfortable manner for both of you. Lessons can reflect anything you’d like to work on with your horse, ranging from confidence in the saddle to learning to work cattle. 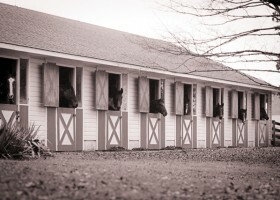 Set in a quiet spot between Woodstock and Harvard we have the perfect place to board your horse. 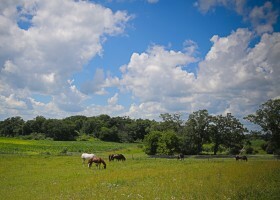 All of our pastures off lots of room to roam for all the horses. 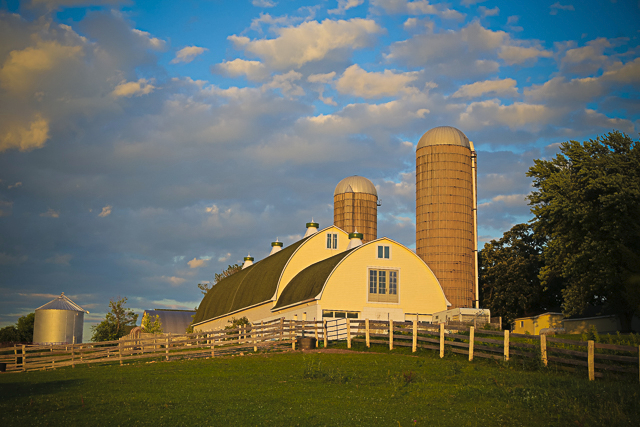 We do not overcrowd our pastures to ensure that everyone has plenty to eat and lots of room to run & play. 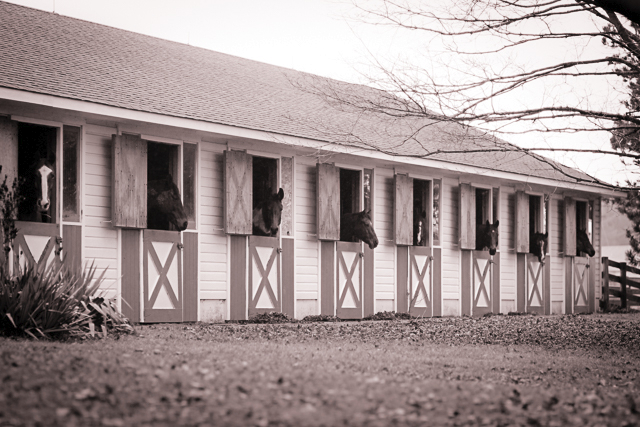 We offer a safe place for you to enjoy riding your horse. In the summer we have cattle on site and get together once or twice a week to work with the cattle. We offer roomy 12×12 stalls, most with dutch doors that are open as often as possible, the remainder have windows that are open for the summer. I am a Certified Equine Sports Massage Therapist, certified at the Institute of Therasage in Janesville, Wisconsin in 2004. Massage Therapy being one of the oldest forms of therapy is an amazingly simple way to increase your horse’s performance by relieving muscular pain and aiding in preventing future injuries. Along with all my massages I offer post massage stretching which benefit your horse immensely. Learn how to stretch your horse – I’ll teach you how to properly stretch your horse before or after your workouts to keep your horse limber and moving fluidly.